When we gaze upon Korean actresses, (yes, i said ‘gaze’..so it won’t look creepy 🙂 ) we spontaneously think about plastic surgery. 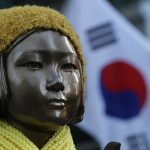 This is due to the fact that Korea are famous for its ‘ugly to beauty’ plastic surgery procedure. Increasing number of men and women nowadays from all over the world who want to change their appearance and look would visit the plastic surgery capital, Korea and could modify their appearance as long as you have money. Some of the most popular operations, which are quite common amongst Korean girls and boys in their late teens and 20s are double eyelid surgery, v-line jaw reduction, eye widening surgery, rhinoplasty, forehead augmentation, hair transplant, chin augmentation, teeth capping and many more unknown surgery transformation procedure. If they can turn an ugly duckling into a beautiful swan, who could say that they can’t turn one person into celebrity look-a-like, i mean like 100% likeness resemblance. You might bump into a doppelganger of your favorite celebrity somewhere near you. 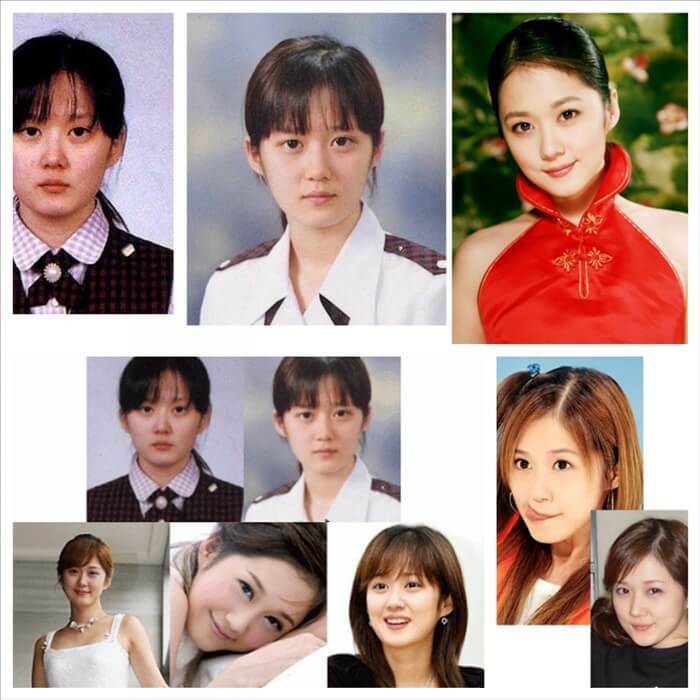 Are all Korean Actress had plastic surgery? Sandara Park also known by her stage name Dara, is a South Korean singer, dancer, actress, model, and host. 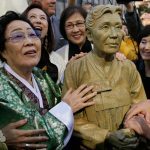 Seen as one of the few most influential Korean stars in the Philippines due to the success of her multifaceted career, she was given the honorific national title “Pambansang krungkrung ng Pilipinas”, and was nicknamed the “BoA of the Philippines” by Korean fans. Park Shin Hye is one of the most popular South Korean actresses working today, she make a popular debut in stairway to heaven and rise her to stardom. In 2015, she was included in Forbes list of ’40 Most Powerful Celebrities’in Korea. Moon Geun-young is a South Korean actress. 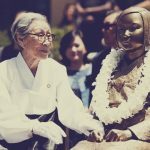 Affectionately called the “Nation’s Little Sister,” Moon began modeling at the age of 10, then made her acting debut in 1999 as a child actress. She first rose to stardom through her role as the young Eun-suh in the hugely popular television drama series Autumn in My Heart (2000), followed by a well-received turn in Kim Jee-woon’s critically acclaimed horror film A Tale of Two Sisters (2003). 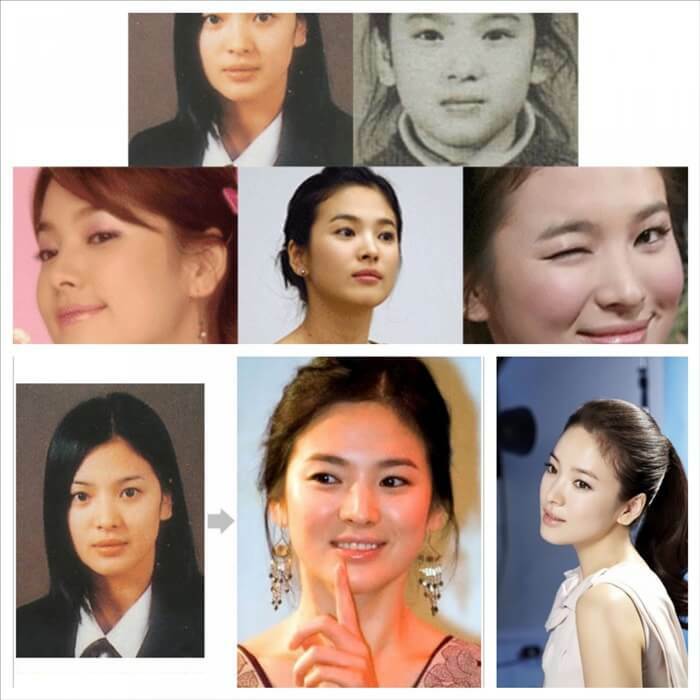 Song Hye-kyo is a South Korean actress. She gained popularity through her leading roles in television dramas Autumn in My Heart (2000), All In (2003), Full House (2004), That Winter, the Wind Blows (2013) and in the pan-Asia hit Descendants of the Sun (2016). 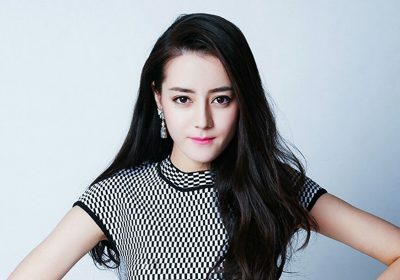 She has also starred in films Hwang Jin Yi (2007), The Grandmaster (2013) and The Queens (2015). Best known for being one of the member of popular kpop group, Girls Generation. 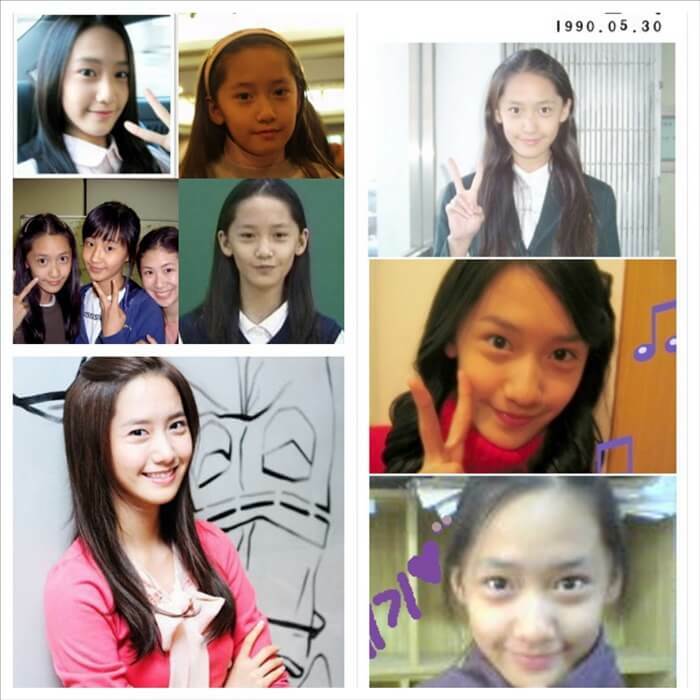 Yoona is among the natural beautiful Koreans woman. She also voted as most beautiful woman in 2013 by Independent Critics and choosen as most beautiful Asian by China Magazine. Lee Young-ae (born January 31, 1971) is a South Korean actress. She is known for her appearances in the Korean historical drama Dae Jang Geum, and as a revenge seeking single mother in Park Chan-wook’s crime thriller film Sympathy for Lady Vengeance. Cheon Seong-im better known by her stage name Song Ji-hyo, is a South Korean actress and model. She first made her acting debut in Wishing Stairs (2003), one of the films in the Whispering Corridors film series. Her notable roles include being the ballerina Min Hyo-rin in the popular television series Princess Hours (2006). Song gained international fame for being the only female member of the popular Korean variety show Running Man, which made her popularity rise across Asia. Her strong and easy-going personality endeared her to many Korean and international fans. Jang Na-ra is a South Korean singer and actress active in the South Korean and Chinese entertainment industries. She is known for her hit song Sweet Dream and TV roles in New Nonstop, Successful Story of a Bright Girl, Bratty Princess, Baby Faced Beauty, School 2013, My Love Patzzi, Fated to Love You and I Remember You. Kim Tae Hee started her career in the popular drama stairway to heaven but it is her beautiful and charismatic eyes that loved by her fans. She also took part in popular and high budget dramas such as IRIS, Love Story in Harvard, My Princess and also starting to involve in Japanese drama. Hahahahahah I agree with you..
Yoona definitely had a nose job. It’s so obvious. Ji hyo should be the first. kim tae hee, jang nara and jong ji gyo, you guys rock i love you and will always remain your fan. am not so surprised you are on the list anyway lots of love to you. hey park shin hye is not meant to be on that list she had a plastic surgery check her before and after photos. Nope. 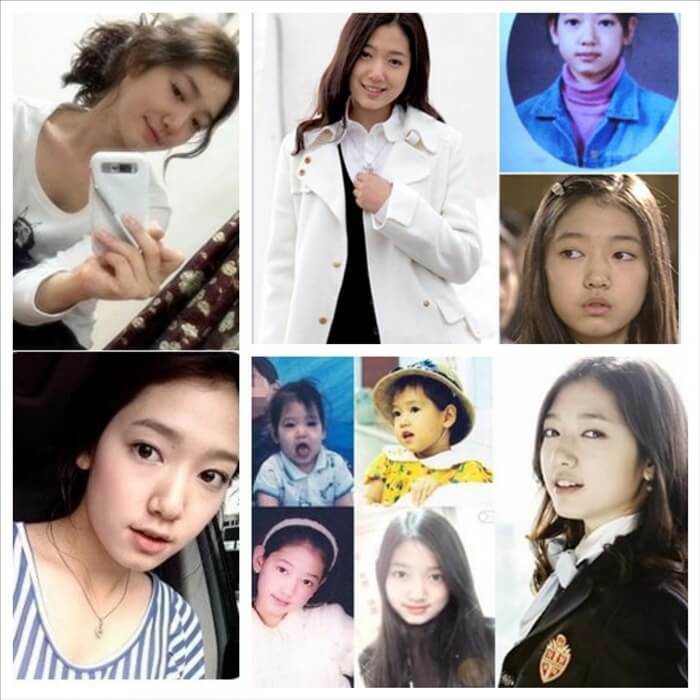 Shin-Hye didn’t had plastic surgery. Her face did just matured. She had a proper diet and that’s all. The chin dimple didn’t even disappear. She has a natural beauty… Some thought she did had plastic surgery but since she was a child, he was already beautiful. She just lost some weight. No plastic surgery!! What on earth makes people swallow that B.S ..Its abnormal for a k.Celebrity not to have it…Sorry but the actual fact is every single one of them have it…its part of working contracts!! worked in the business. I don’t know about the others but Sandara Park grew up and became famous in the Philippines way back before she became famous in Korea as a KPOP icon. and all of us who saw her so called “awkward” teen years can say that she’s natural 🙂 It’s a taboo in the Philippines to have a celebrity get plastic surgeries. She’s a proud Filipino at heart according to her and I’m also sure she also got that mentality to stay natural. Why is Jun Ji Hyun not on this list? she had eye lid and nose job if i remember correctly. In my opinion, which I’m entitled to, the top of the list should be Song Ji Hyo. Beauty is actually coupled with attitude, don’t you think so? Ji Hyo has proven over and over again on Running Man that she has what it takes to the most beautiful and attractive actress, minus the plastic surgery, in Korea. She’s easy going, humble, kind and above all else, intelligent. true dat, i love her in running man show, too bad she’s out.